Hotel marketing in Bangkok is about revenue, not about how much you invest. Your hotel in hotel in Bangkok has an online marketing budget, even if you don’t think so. Commissions hotels pay in Thailand to online travel agents are indirect marketing. What OTAs spend in their web marketing to provide your Bangkok bookings, you repay them in commissions, plus the OTA's profit. Your hotel booking engine only takes $4 saving you $16. If you sold these 10 rooms directly from your own hotel site, you'd save $16 per room per day. To ensure guests book directly via your site, discount rooms $1. Social media marketing management of hotels in Bangkok. Staff motivation and social marketing training. You are showing a PPC ad for your hotel along the lines of “Official Site, Book Direct, More info.” You get the click and convert them on your hotel site. OTAs and resellers have no competition from you (YAHOO!) for their ads offering “Best Rate Guaranteed, No Cancellation Fee, More info!” OTA get the click and sells your room, making 15-20% commission, some of which they invest in more targeting of your hotel brand name. Video production for hotels in Bangkok including drone quadcopter fly-throughs and 360° VR video production. Cheaper than you think. A two day stay/famtour will give time to capture the best features of your Bangkok hotel. With content marketing, "Content is king". 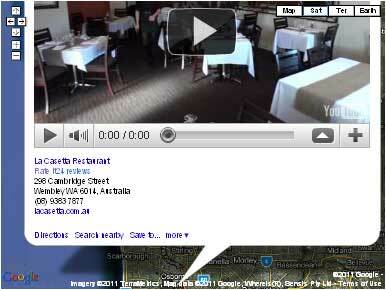 Embed on your hotel video marketing page. In the hands of your travel agents, travel wholesalers and or Thai social MEDIA marketer's job of creating buzz marketing, aerial video of hotels in Bangkok is AWESOME marketing. If your hotel in Thailand is not a luxury hotel, more of showing off Bangkok environment attractions near your hotel is an option. Google Places consultation for better Bangkok hotel marketing on Google Earth and Google Maps of Bangkok. eg: Getting your Bangkok hotel photos and Thai hotel video on your Google Places pin. Video SEO Bangkok Thailand hotel marketing. Search Engine Optimisation SEO marketing of your Bangkok Thailand hotel video on the world's 3rd most popular website / search engine which delivers video marketing: YouTube. Publishing your banner ads and video marketing on POPULAR Bangkok Thailand hotel accommodation websites. New innovative interactive phone audio on hold. Let phone callers to your hotel choose creative phone call waiting music, podcasts, quizz, etc while your hotel markets to guests and gather's data about them. Don't loose bookings from hangups caused by boring muzak. Linked advertorial on popular web pages such as: www.hotelbangkok.info etc. Market upselling to hotel guests such as your hotel restaurants or tour desk with all the interactive options of a web page during WiFi sign-in. Also market survey hotel guests' personal data collection for remarketing when they sign-in to use your hotel's WiFi. 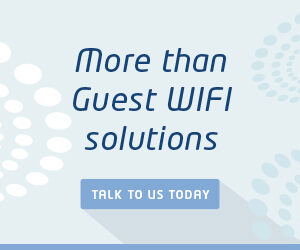 Click banner ad at RHS of this page for more affordable, reliable hotel marketing during WiFi sign-in. Marketing professional development discounts apply for not-for-profit organisations such as the Bangkok Thailand Hotels Association, government such as TAT, and for members of the Bangkok Thailand Hotels Association. Free Bangkok hotel corporate social responsibility media releases. Page one of search engines for various phrases. Example: "accommodation near bangkok"
4 Web Marketing's "organic SERP" winners are yellow highlighted in the Hotel Marketing screen shots below. Contact Ben Grummels 4 Web Marketing with your incentive for marketing your hotel in Bangkok Thailand or delivery of web marketing workshops for your hotel organisation in Bangkok. Our partner Ms Sribuathet will be on a familiarisation tour of hotels in Bangkok on 4th July 2013.